A range of unusual feature planters. These fantastic designs will create a unique focal point in your garden. The range includes everything from small wall mounted planters to large wishing wells. 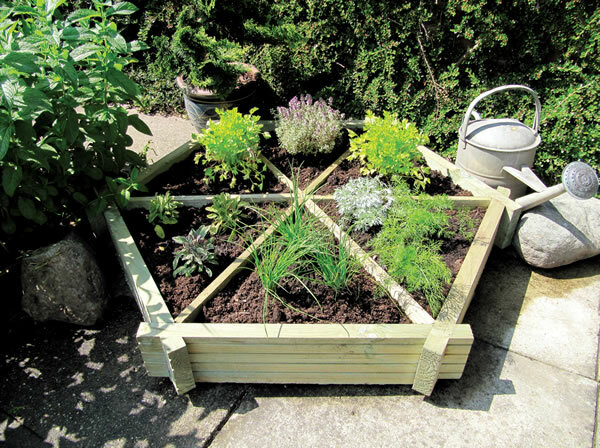 A decorative idea to brighten up your garden. 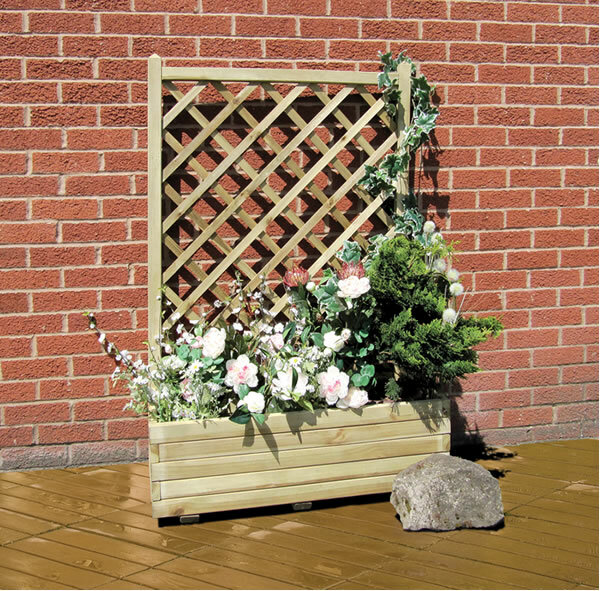 The Addisham Planter, with large trough planter and trellis at the back. 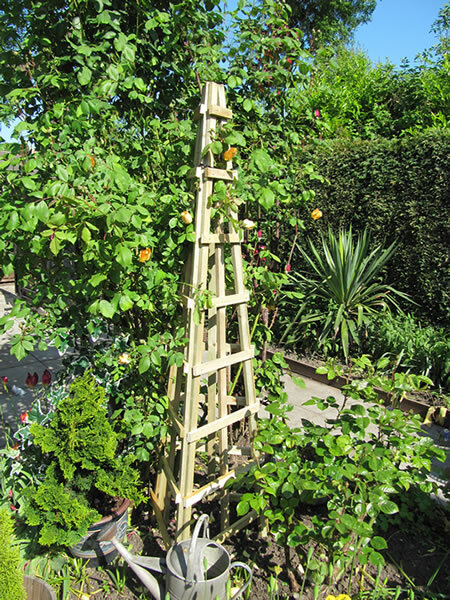 Ideal for supporting climbing plants. Available with optional colour hold treatment. 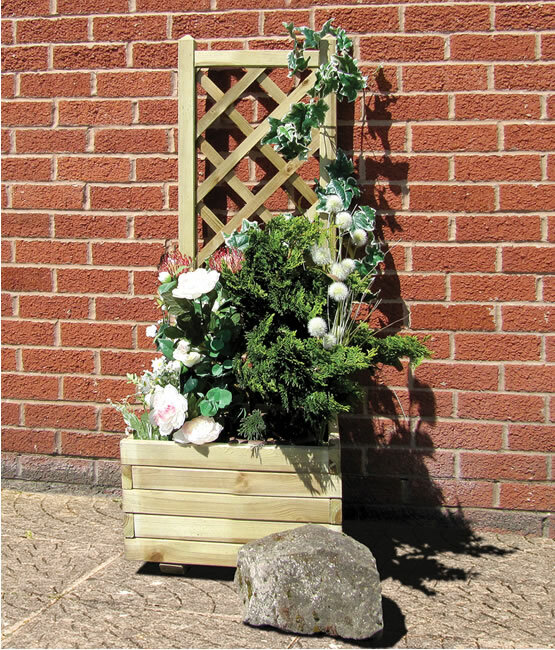 The Hettington Planter with trellis back is perfectly suited to a smaller garden, courtyard or balcony. Made from pressure treated timber.